Actually, our nightly live entertainment is just the tip of the iceberg. 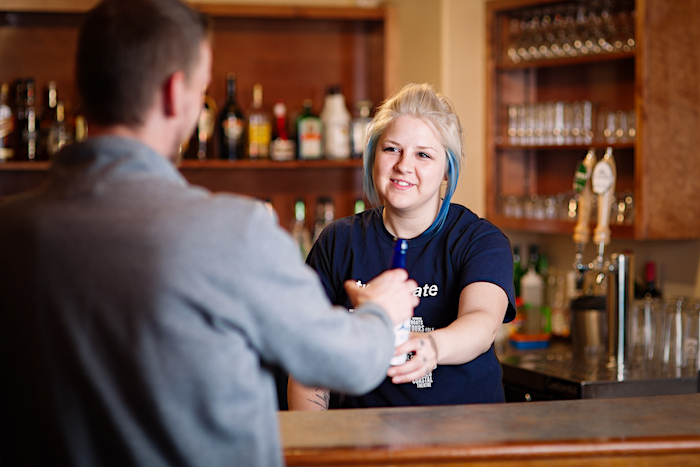 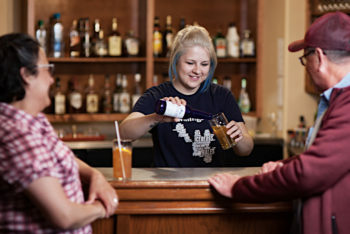 Unwind at Captain’s Pub with a local beer on tap – try the famous QV Iceberg Beer, a cocktail or glass of wine. 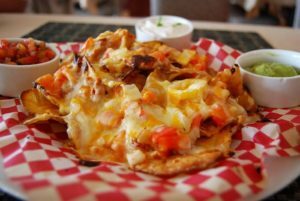 Enjoy a house-made pizza or pub food, such as our legendary kettle fried nacho chips. 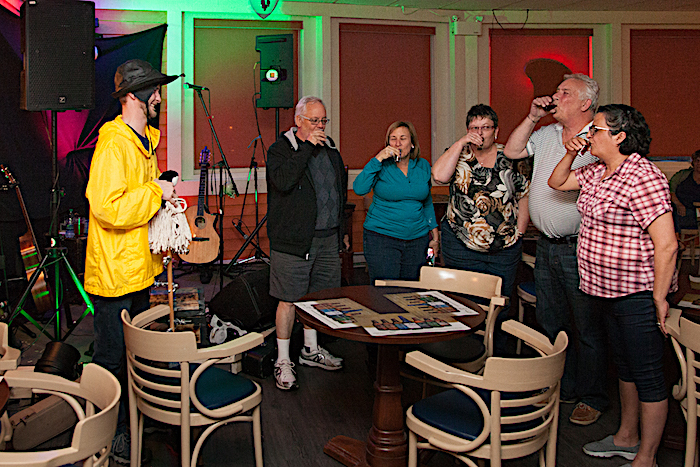 Bring friends and enjoy live entertainment with Mike Sixonate and friends from Monday to Saturday night. 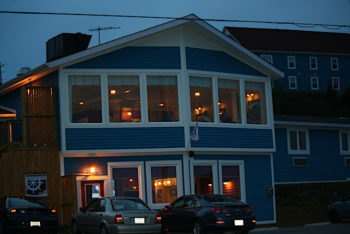 Captain's Pub, live entertainment & eatery. 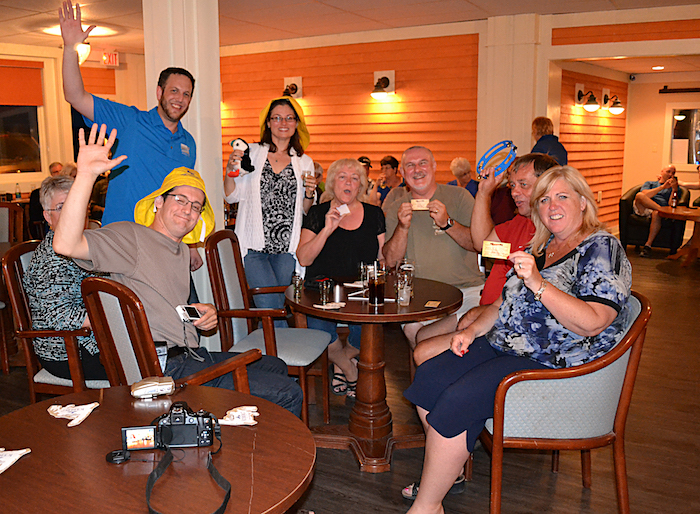 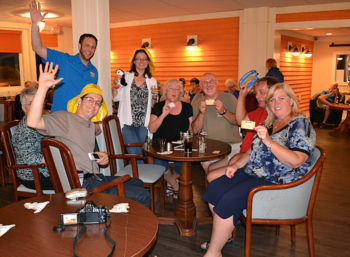 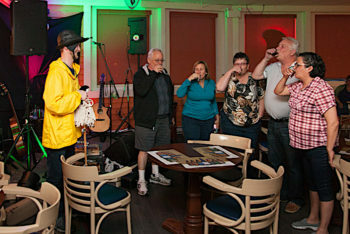 Guests are being screeched in as honorary Newfoundlanders during a screech-in ceremony at Captain's Pub. 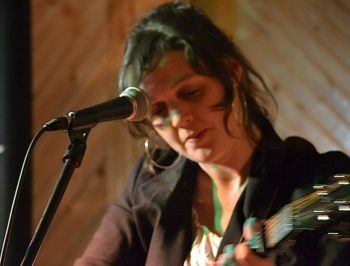 Amelia Curran performs at Captain's Pub. 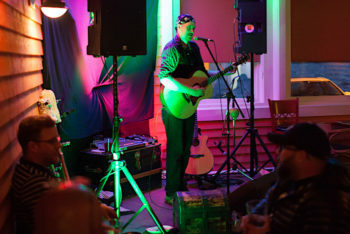 Mike Sixonate performing at Captain's Pub during summer, six nights a week. Nachos with kettle fried chips, peppers and cheese, served with sour cream. 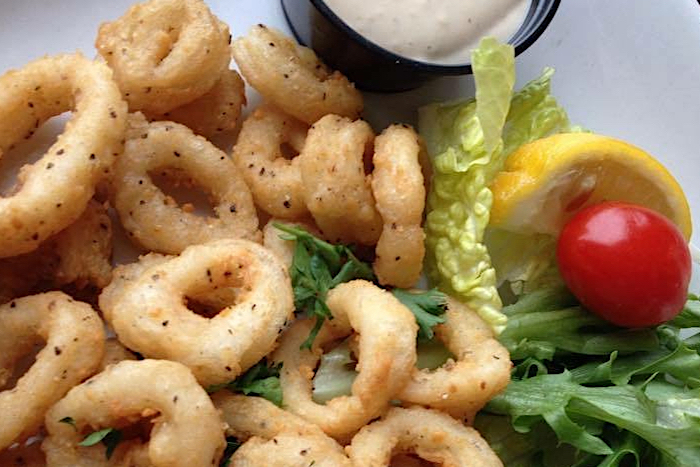 Calamari Captains Pub & Eatery. 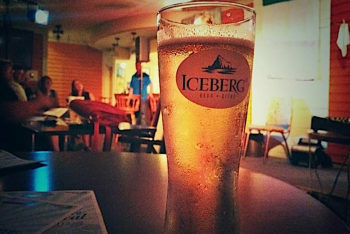 QV Iceberg Beer at Captains Pub.